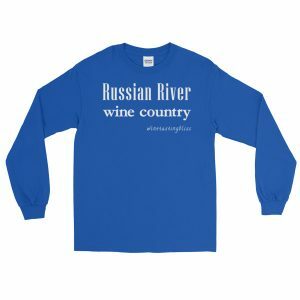 We love visiting small wineries! Sometimes these small wineries come with big reputations. That was certainly the case when we visited Carol Shelton’s winery. 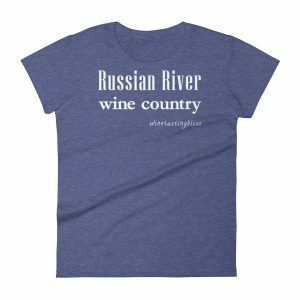 She is widely regarded as the most awarded winemaker in the United States. A few tastes later we understood. 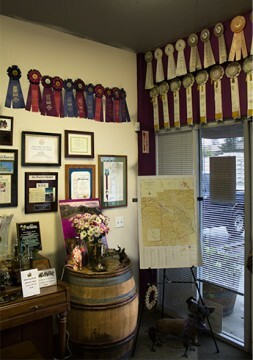 Carol Shelton Wines is tucked away in an office park, just off the beaten track near Santa Rosa. Nestled between warehouse churches and industrial suppliers to the winery trade, the tasting room is small by most standards, with a modest sign that was easy to overlook. We hustled in out of the drought-stomping rain storm to discover a cozy room with charming decorations everywhere the eye might land. As we got comfortable at the bar we started with their 2014 Wild Thing Chardonnay. We learned that the “Wind Thing” moniker indicated that only wild, or naturally occurring yeast was used to ferment the juice. 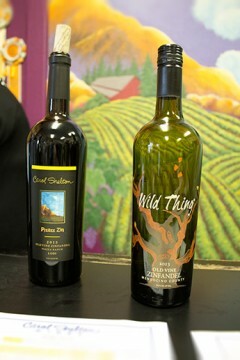 The Wild Thing label would pop up again as we worked our way down the tasting menu. We enjoyed the citrus, pear and agave notes, with very little of the butter that gets in the way of some Chardonnays. 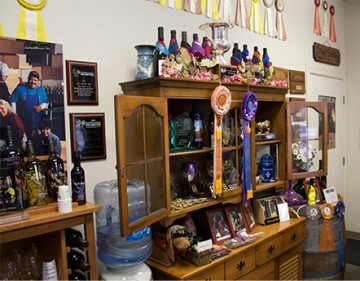 The 2014 Damiano Viognier won a State Fair Gold Medal, adding to Carol’s enormous collection of ribbons, medals and trophies. The orange blossom aromas and flavors of mango and grapefruit made this a wonderful wine for a spring day, even one clouded by rain. 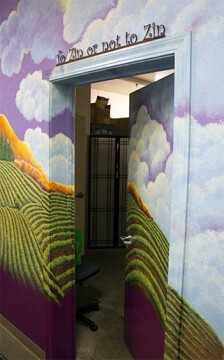 Looking around the tasting room, we learned that Carol Shelton, the wine maker, went to college to study poetry. A fortuitous visit to a wine cellar captured her imagination, and a change in major to enology resulted. Poetry’s loss is our gain! As we tasted our way to the main event, the legendary reds, Carol Shelton arrived! Within seconds we all felt the energy and enthusiasm that poured out of her. 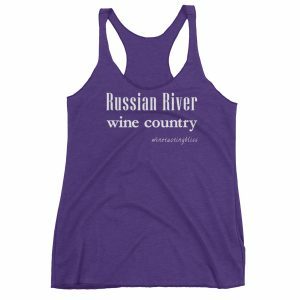 This was a person who spent every day doing what she loved: making wine! On this particular Sunday, her husband, Mitch, had suggested a nice brunch, but Carol was too excited about the chance to craft a new blend to spend the morning in a restaurant. 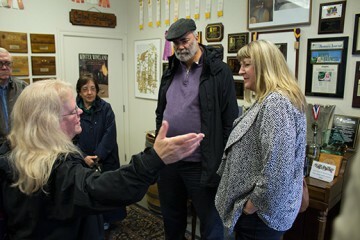 Carol and Judi began a spirited discussion on the relative merits of American, French, Hungarian and Chilean oak barrels. Each nationality imparts its own distinct influence on the wine, and Carol loves working with them all. 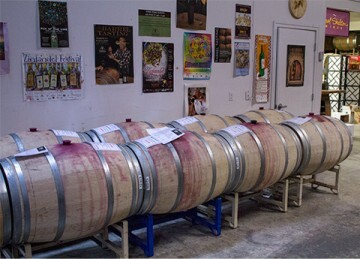 Mitch must spend much of his time sourcing and handling new barrels from around the world. We tasted their 2012 Pinot Noir (with super-smooth Bing cherry notes), the 2013 Pizazz Zin (her first foray into Lodi fruit), a 2012 Oat Valley Carginane (with a finish that went on forever), a 2013 Peaceland Zinfandel and an old vine (planted in 1928!) 2013 Zinfandel from the Mancini vineyard. The variety of flavors and exceptional balance and layering of each wine made it clear that Carol was a master of her craft. The only challenge before us was selecting a few bottle to bring home. With our fabled wine storage issues, we were hoping to limit ourselves to one bottle per winery. That strategy went out the window on our very first stop of the day! After quite a bit of discussion and pro/con evaluations, we made the difficult purchasing decisions that balanced our new-found appreciation for Carol Shelton wines with our puny capacity for new bottles. With armloads of wine and umbrellas at the ready, we said our goodbyes and wished Carol good luck with her blending. This diminutive woman and her award-winning collection of wines converted all of us to raving fans! 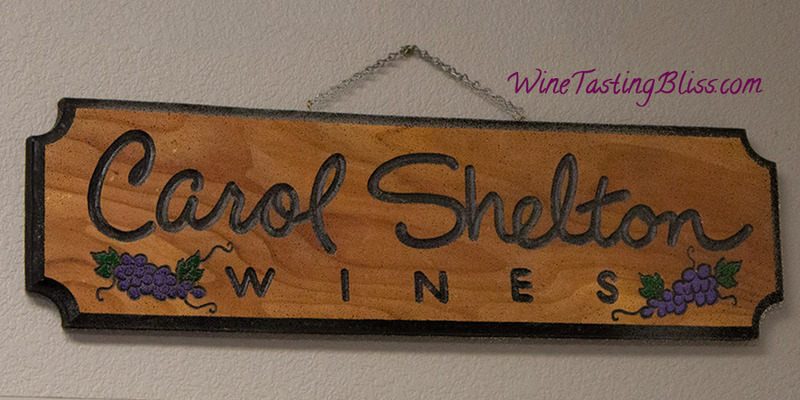 Have you visited Carol Shelton Wines? Click to give'em a tweet of support!